Here is a short article I worked on for one of my Hebrew classes. Please read it and let me know what you think! The Hebrew Bible (hereafter HB) has seen revisions and textual versions produced in the last century. To define and discuss the various efforts made by scholars, Hebrew linguists, and textual critics, a basic groundwork of terms, versions, and their respective goals must be examined. The student of the HB should be acquainted with this field as his selection of which HB to use will be affected by the information soon to be discussed. Perhaps the most basic step in understanding the critical editions of the HB is to understand the text (or texts) used in each edition. According to Murphy the Codex Leningrandensis is “the central text for most modern Hebrew Bible editions.” L (as is abbreviated in scholarly work) is extremely valuable as it is the most ancient copy of the complete HB. This forms the basis for many of the HBs available today. The second major Codex used for the HB is the Aleppo Codex. While the L is considered the oldest complete codex, the Aleppo Codex, or A, is the oldest manuscript available to scholars today. It is represented by many different manuscripts from a variety of geographical areas as well as dates. It is the basis for the major work being completed by the Hebrew University Bible Project. While the Codices L and A form the basis of two families of HBs, a new work is being accomplished known as the Oxford Hebrew Bible (OHB). This project uses an eclectic approach, as Hendel writes, “Rather the OHB aims to be a reliable and circumspect critical eclectic edition, and a worthy complement to the diplomatic editions.” Rather than relying on one Codex, the eclectic approach seeks to gather all available manuscripts and codices in addition to different versions of the Old Testament. The various editions of the HB all come from different purposes which affect the use of the selected Codex (or eclectic approach). For the line that follows L several reasons exist for the purpose of choosing this one Codex. To begin with, the fact that it remains the oldest complete codex lends great weight in its selection. Baker provides the next three reasons in his review. Contrary to the reasons provided by the OHB, there are no accepted methods for review and evaluation of Hebrew manuscripts, codices, or other sources (such as the Syrian Pentateuch or the Septuagint). The next objection raised by those who prefer L is there is no objective starting point to begin when choosing an eclectic text. Finally, programmatically the purpose of the BHK, BHS, and BHQ is to provide a one volume tool for a wide field. To attempt to collect and include variants in readings from the sources that the OHB uses would necessitate a work of many volumes. It should become apparent that the perceived short comings of an eclectic text as well as the incompleteness of the Aleppo Codex have led the editors of the BHK, BHS, and the BHQ to choose L as their choice. The next codex had a similar approach though slightly different. While those who chose L for their editions of the HB selected it on the basis of a complete text, the editors of the HUB used the Aleppo Codex. However, in their edition they also provide their readers with several other variants and leave the reader to determine which reading is more accurate and honest. The editors organize the witnesses in a unique way which allows the reader to work through the available evidence. The difference between this approach and that used by the editors of the OHB is this: the editors of the HUB allow the readers to decide which reading is the most accurate while the editors of the OHB make judgments on the witnesses they provide. The approach of the HUB is more closely related to those who utilize L, but as was stated previously slightly different. One can see how the selection of materials and sources for the edition of the HB is directly related to both the purpose and the textual views of those editing. The eclectic approach is the final of the three major branches of the editions of the HB. Hendel provides an extremely lengthy and detailed reasoning of behind the work of the OHB. The editors offer several reasons why an eclectic approach is to be chosen above a single codex. The explosion of manuscript and other materials has provided the field of textual criticism with an enormous amount of evidence. This material must be evaluated and examined to see its worth when attempting to find the archetype. The editors then go on to develop a method and rationale for their efforts, providing logical examples of textual criticism from other fields (such as English Renaissance literature). The work they have attempted to accomplish is massive and the editors readily agree that the work would not be available in a single volume but would ultimately be a one volume work for each book of the HB. This work will be one that takes a great deal of time and effort, but the results will yield much in the field of textual scholarship. The discussion of the critical editions of the HB is a large one, and one hardly able to be placed into a single work, much less a short article. The student and scholar is encouraged to perform his or her own investigation into the field. 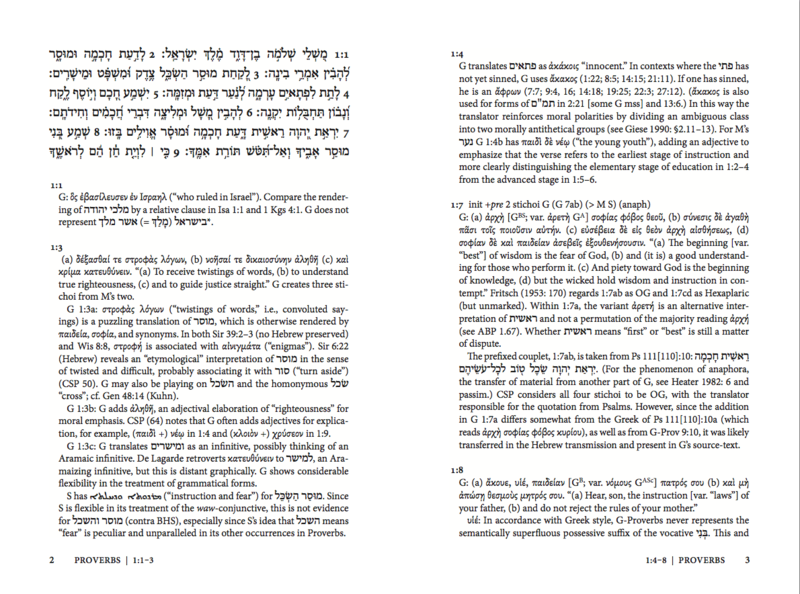 Todd J. Murphy, Pocket Dictionary for the Study of Biblical Hebrew (Downers Grove, Ill.: InterVarsity Press, 2003), 101. The date provided by Murphy is CE 1008. Weis, Richard D. “Biblia Hebraica Quinta and the Making of Critical Editions of the Hebrew Bible1.” Weis, Biblica Hebraica Quinta and the Making of Critical Editions of the Hebrew Bible. January 1, 2002. Accessed September 14, 2014. For those who may not know, a codex is “An ancient manuscript bound in folio leaves (a book) rather than as a scroll.” Murpy, 42. The BHK, BHS, and BHQ are all dependent upon L. See Paul D. Wegner, A Student’s Guide to Textual Criticism of the Bible: Its History, Methods & Results (Downers Grove, Ill.: IVP Academic/InterVarsity Press, 2006), 108. Murphy, 22. He lists the date as CE 930. See also Baker, David L. “Which Hebrew Bible? Review Of Biblia Hebraica Quinta, Hebrew University Bible, Oxford Hebrew Bible, And Other Modern Editions.” Tyndale Bulletin 61, no. 2 (2010): 211-36. January 1, 2010. http://www.galaxie.com/. Sanders, James A. “Book Review: Hebrew University Bible: The Book of Ezekiel.” Review of Biblical Literature 2, no. 1 (2005): 1-6. Hendel, Ronald. “The Oxford Hebrew Bible: Prologue to a New Critical Edition.” Vetus Testamentum, 2008, 328-329. Kittel, Rudolf. Biblia Hebraica Stuttgartensia (Editio Quinta Emendata ed. Stuttgart: Deutsche Bibelgesellschaft, 1997),xii, xiv. See Hendel, 328-334 for a lengthy discussion on the process and methods for their selection of an eclectic text. The editors of the OHB make no claims to desire to provide a one volume work. In fact it is opposite of their claims. See Hendel. Hendel, 324-351. He also includes examples of the use of the OHB.